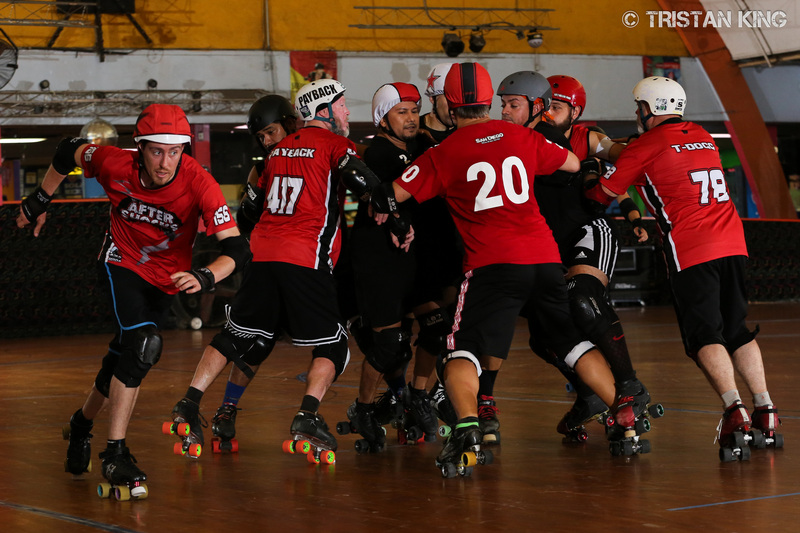 The Aftershocks, San Diego’s premier Men’s Roller Derby team, is now joining forces with their female counterparts to become the newest team of San Diego Derby United. Founded in December of 2010 and later inaugurated as members of the Men’s Roller Derby Association in 2014, the Aftershocks have competed at the highest level of roller derby with 4 trips to MRDA Championships and climbing as high as #3 in the world. Seeking inclusion and acceptance, The Aftershocks join the San Diego Derby United family to participate and contribute in the values of athleticism, empowerment, inclusion, and respect. 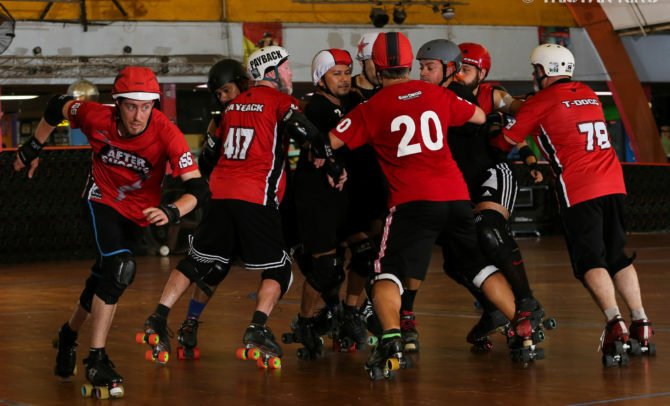 The Aftershocks are a Men’s Roller Derby Association(MRDA) program, which is open to all genders, making them an ideal partner in the San Diego Derby United expansion. Having experienced the camaraderie of the Wildfires, Sparks, Kraken, and Cuttlefish at open scrimmages and local derby events in the past, this MRDA team looks forward to building a future together at the new San Diego Derby United facility. In 2019, The Aftershocks are seeking to further the growth of the sport of roller derby in San Diego. This new partnership will allow the MRDA program to grow alongside their WFTDA and Banked Track sister programs. We are excited to compete in front of the San Diego Derby United fans and add another dimension to the upcoming event schedule.